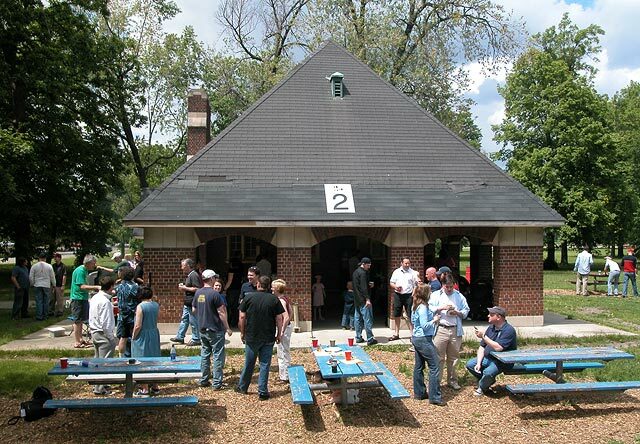 Shady Nook Picnic Shelter on Belle Isle in Detroit will again be the site for the DetroitYES forum picnic. 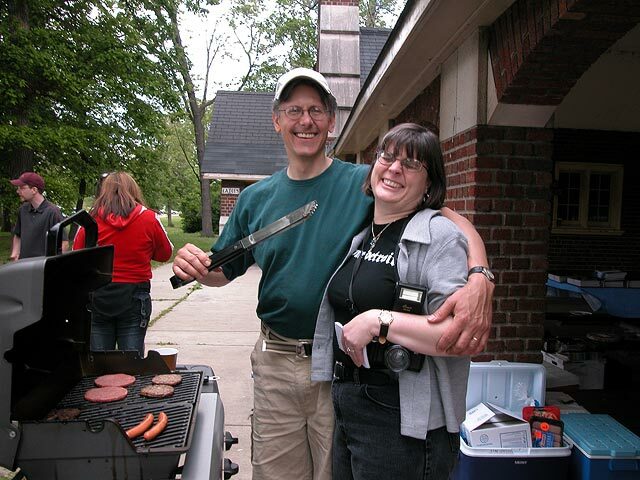 Notably missing from this year's May 27th, 2007 get-together will be the popular forum member ItsJeff whose spirit, energy and kindness were so essential in beginning and maintaining this tradition of bringing forumers out from behind their monitors and into real life. In his honor this year's picnic is dedicated to his memory. Grill mastering provided by Kathleen and Dave. Kathleen's excellent photographic collections of Detroit will be on display too. 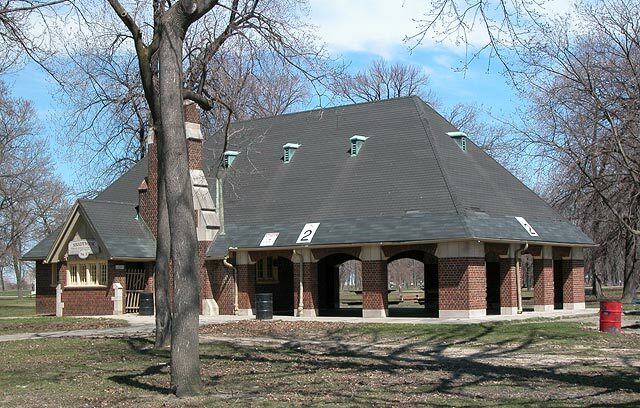 Shady Nook viewed from the south.